Having trained under reputed architectural firm in (Ahmedabad) India. 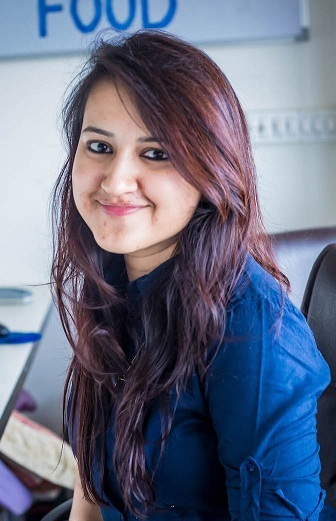 Sanchi, then ventured out to work independently and has more than 8 years of designing experienceand now has established her own firm with team of experts to fulfill all kinds of design requirements at one place, for its clients, making their lives more easy and beautiful. There is a lot to say about the firm and its work, but we would suggest checking our work portfolio, as we believe what they have said, “work speaks more than words”. Each project is developed in its totality; wherein all the parts down to the smallest Interior detail, receive equally dedicated attention. The specification and detailing that goes into every project is of utmost importance and is one of our most salient strengths. Offering an unmatched quality of finishing and detailing, every single feature in a project is designed and considered. We believe, what works good is better than what looks good. Short lived fashions and regressive styles are shunned; the aim of physical and aesthetic longevity through practicality predominates our design. Personal attention is given to every project ensuring only the highest quality that is long lasting and durable. In the words of the legendary architect Frank Lloyd Wright – “Form that follows function has been misunderstood. Form and function should be one, joined in a spiritual union.” It is this philosophy that inspires and drives our design process. Our best works are a result of a pragmatic performance-driven approach to design rather than mere form innovation. We have realized over time,that very often the practical aspect of an idea can improve the aesthetic pleasure one gets from it. Our buildings are planned from the inside out, where exterior forms are a result of interior spatial circulation and performance. Our team is our most valued resource; We focus on active discussion and collaboration at all levels, which enables every design to reach its most evolved solution. Each project is handled by a talented and dedicated project team who works closely together at every stage of the venture. Depending on size and scope, each project is generally supervised and overlooked by engineers, architects and interior designers.